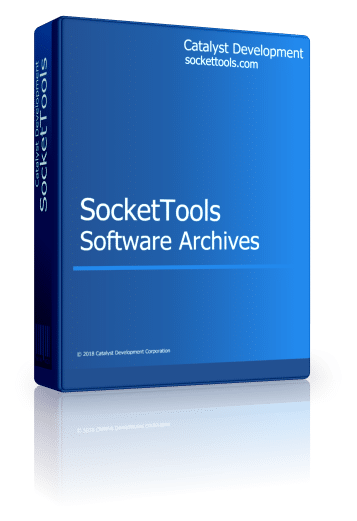 The SocketTools Software Archives enables you to purchase previous versions of SocketTools. The archived versions of SocketTools are not eligible for technical support. Please enter your product serial number. The serial number is required to complete this order.